The TAG Heuer Monaco is seminal in the worlds of both watchmaking and motor racing. It’s so iconic that its present-day ads are fronted by the late, great “King of Cool” himself, Steve McQueen. Nevertheless, a great timepiece can stand to be made even better, so TAG Heuer sought the expertise of Bamford Watch Department (BWD) to deliver a completely reinvented Monaco. BWD’s CEO George Bamford has made a name for himself in the world of watchmaking. He pioneered the customisation of luxury watches by modernising and personalising timepieces which were already very exclusive, giving them a recognisable identity with his own ultra-modern, futuristic style. 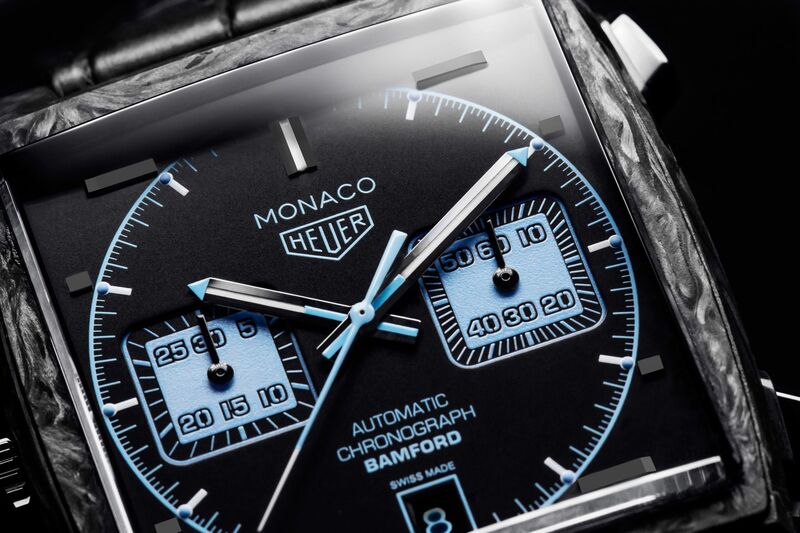 The TAG Heuer Monaco Bamford carries all the hallmarks of the model: the square 39-mm case and the crown positioned on the left. But this time, the timepiece now boasts a case made from incredibly lightweight and highly resistant carbon. Bamford's signature style is evident in the chronograph counters highlighted with luminous marks on the indices and the date window, which are a magnificent aqua blue – Bamford Watch Department's favourite shade of blue – a detail that gives the timepiece a resolutely modern look which is right on-trend. The dial and the case-back are engraved with "Monaco Bamford" as a reminder of the unique collaboration. The whole piece is set off perfectly with an exquisite black alligator leather strap. Now, imagine having this ultra-modern timepiece on your wrist. 'Tis the perfect season to treat yourself or your loved one. Head over to the TAG Heuer boutique in Glorietta to get your hands on one.